Patriotic pooches can get into the swing of the Queen’s Diamond Jubilee party in their very own sparkly bling. 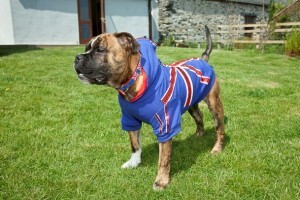 Every canine connoisseur will want to be seen at the year’s biggest social event dressed in a sequined Union Jack hoodie designed especially to celebrate the 60th anniversary of the monarch’s reign. Or for the more casual, how about putting one’s best paw forward in a red T-shirt complete with a Union Jack in a heart design? 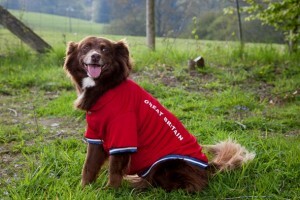 And for really energetic hounds getting readyfor London 2012, you can even kit them out in Olympics inspired gear. The celebratory outfits are the latest must-haves from a new award-winning North Wales business, Canine and Co, an online dog accessory store for people who love to spoil their pets. It was launched last year by husband and wife team Paul and Donna Condliffe, dog lovers who turned their back on highly successful careers in finance and banking, to live the good life in Maerdy near Corwen. Conwy Rural Business Support (CRBS) have provided “invaluable” help in establishing their successful new business. CRBS is funded through the Rural Development Plan which is financed by the EU and the Welsh Government. They provide free services to micro businesses, employing 10 or less people, offering advice, marketing opportunities and practical guidance on how to secure funding. 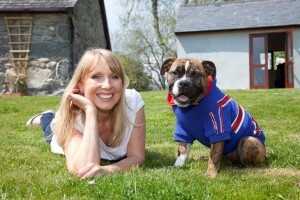 Donna is also encouraging dog owners to get their pets into the Olympic spirit with Olympic-style jackets for the pet which wants to join in the celebrations for the 2012 London Olympics. Paul and Donna lived in Cheshire where she worked for Britannia Building Society and Paul was an area manager for Barclays Bank. For 20 years Donna covered different branches in Cheshire, Staffordshire and North Wales and picked up a string of awards for her work in a senior managerial role. Now Donna and Paul have a three-quarter acre garden where some rescued ex-battery hens are also living the “good life” along with rescue dogs Chocky and Champers (the “two nicest things in life”) two cross-Collies about 10 and 11 years old. “Coming from a business background with a degree in finance and business, I knew I wanted to work from home, I loved dogs and I did a lot of research. We tend to be about five years behind the USA and I found there that the pet industry, even during recession, was still growing. Pets are being treated more and more as part of the family and there are eight million dogs owners in the UK alone. People like to buy their dogs presents and you will always need dog collars, leads and beds. It’s a growth industry,” said Donna. Living in rural Wales, however, Donna also has a focus on products for working dogs. Being an on-line business is also an advantage since on-line sales are growing and it fits in with the modern lifestyle. “Conwy Rural Business Support has been a great support, they really have, when I was setting up last year they were invaluable. Only a couple of weeks we attended a business day in Llandudno Junction where we networked in the morning and attended seminars in the afternoon where we could hear about marketing, using social media, it was great,” she said. For more information about the support and advice that’s available to small businesses in rural Conwy contact Anna Openshaw either by emailing: conwyruralpartnership@conwy.gov.uk or ringing 01492 643159. 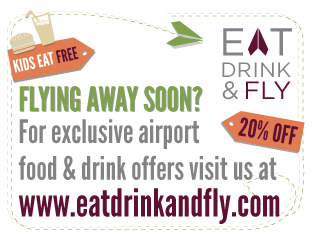 Click for more information on Canine and Co or call 0843 2898098.